Once your children become grown-ups it gets harder and harder to think of unique and special gifts for them for birthdays and Christmas. Partly, because you’ve had 18+ years to buy them everything you can think of, but also because they often have an income of their own, that means they buy most of the things they want. 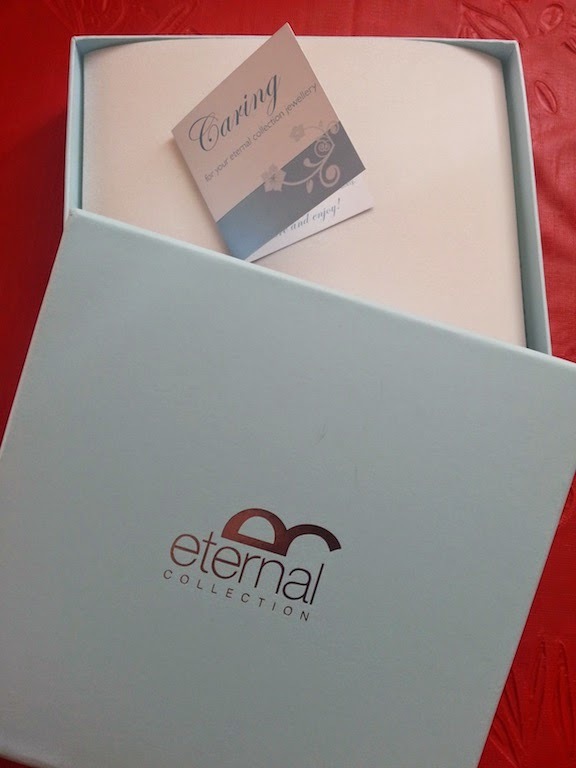 So I was really pleased to be asked to review the website Eternal Collection, for something lovely for my daughter, who is nineteen soon. I thought this would be a lovely, fun, easy task. Well, it was certainly lovely and fun, but it certainly wasn’t easy! I was staggered at the vast range of different items available, everything sparkly and tempting. Not just jewellery either, some fabulous scarf rings and hair clips too. I could have pottered around that website all day, there was such a wealth of different jewellery items to choose from. In all kinds of different price ranges and styles. Costume jewellery purchased comes with a 30 day full satisfaction policy, which is extended over Christmas, so it makes an excellent choice for armchair gift buying. I eventually settled on a necklace and, as I was still struggling to choose from the amazing selection, I picked out a turquoise one, as this is her birthstone. The item arrived really quickly and the quality was obvious from the moment I opened the package. First there was the lovely box, with silver writing beautifully embossed on the top. Inside, the item was protected by a square of foam, ensuring it arrived in perfect condition and, beneath that, it was carefully wrapped in tissue, which gave it a real air of quality. I was immensely impressed with the packaging, but that was just the tip of a sparkly iceberg! The item itself was clearly well made. Crafted in sterling silver, the chain was thick enough to ensure it would last but still delicate, so that it didn’t swamp the pendant. The beads that made up the pendant consisted of white shell pearls and Swarovski crystal embellishments, which sparkled brilliantly in the light. I loved the little chains supporting the beads, it created a really lovely effect. The beads were a little bigger than they appeared in the picture, which suited the style of the piece, but, if you are unsure, the size of each pendant is listed in centimetres in the item description. I have really enjoyed reviewing this website and am confident there is something for everyone in the vast selection. 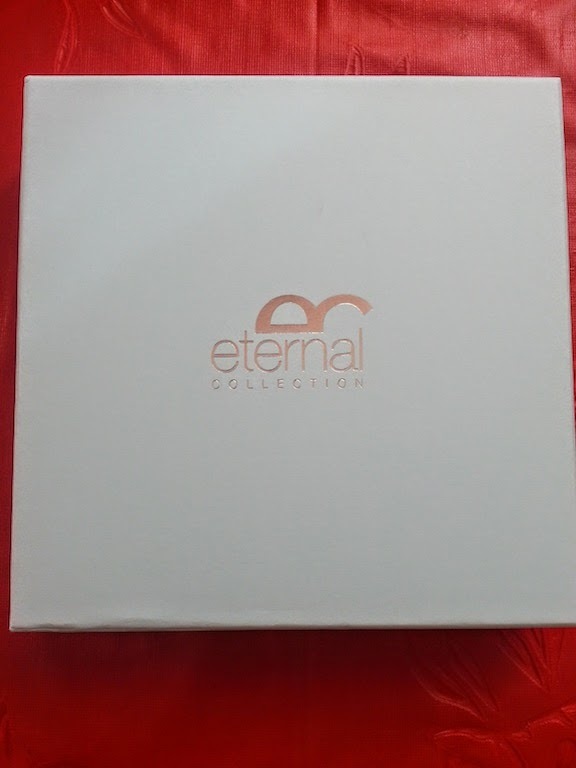 Eternal Collection also have a Facebook page and Twitter feed to keep up with developments and new additions to their ranges. Perhaps give them a try for your Christmas shopping, you’ll be amazed when it arrives! It's good to know that the company cares about the condition their jewellery arrives in. I hope your daughter is happy with her lovely necklace. Please do Louise, they have a wide range of jewellery on their website. I love the soft blue colours and the sparkle! 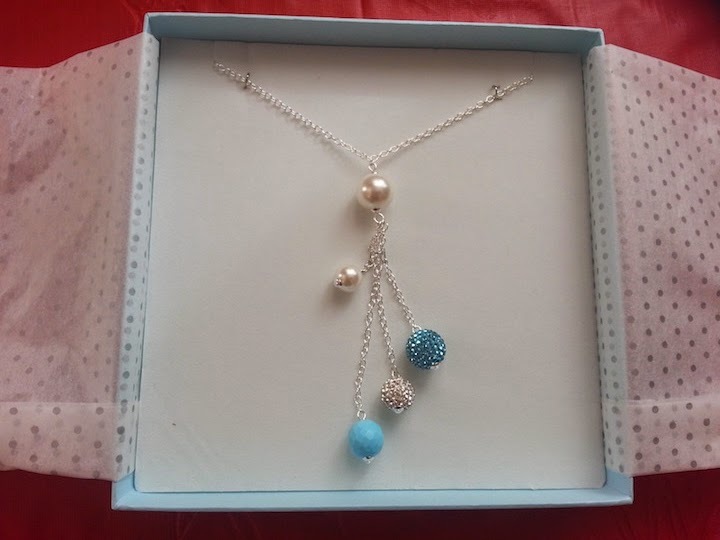 I love the necklace, so delicate, the blues are a lovely shade, I always like an item if it comes in a pretty box too. Needs to match the wrapping and this does. This necklace looks lovely. The presentation of it is beautiful and it looks like a fab gift to giveaway this Christmas.